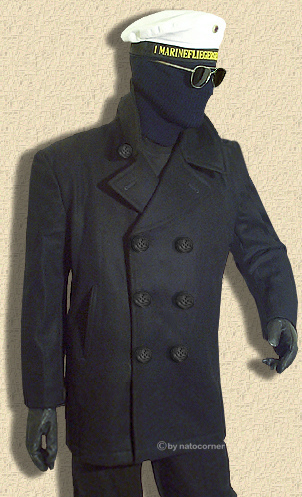 The Navy Pea Coat was based upon the instruction of Secretary of War more than 200 years ago. On August 24th, 1791 the distinctive dress for US-Navy captains and officers was provided. To represent strength and authority on one side, but also to answer the purpose, as well fashionable as useful aspects had to satisfy requirements. Daily practice necessitated weather-/storm-proof and deep water resistant jackets, whereas the dignified appearance demanded a well-groomed jacket of timeless elegance. Dark cloth, made of 29 oz. 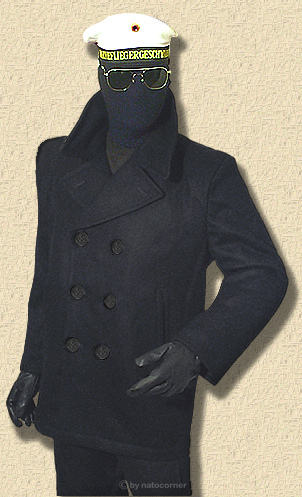 stout virgin wool and worked up as pilot cloth based on twill, protected against wind and cold from now on. With double-rowed buttons, tiltable collar and large lapel, uniformity was perceived which happened to appeare separately before. Strength and order -now emphasized by the ruling masses. Only years later the enlisted men were dressed in uniform to express their obligation to aura and mystery of the navy voyage. Our Navy-PeaCoats are made of 29 oz. stout pilot (pee) cloth and are storm-proof and water-repellent. 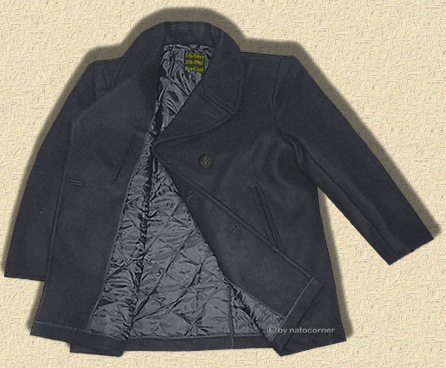 Furthermore virgin wool allows ventilation and evaporation and the stitched lining attends to warm comfort. One inner pocket serves for the utility, whereas the inferior welted slash pockets generally remain close. 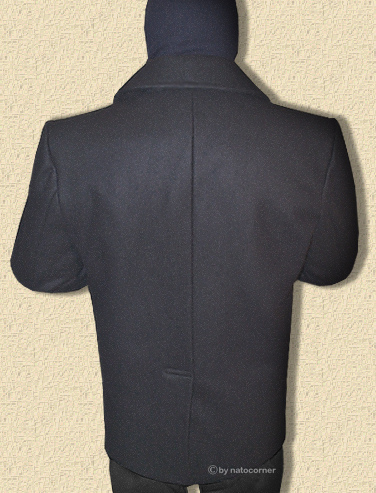 Following the original, the US-Navy Pea-Coat is supplied with black anchor buttons. Our "SILVER COLANI EDITION" is supplied with ful metal and original German Navy buttons, coloured silver. 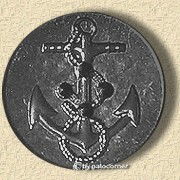 Perfectely, the "GOLDEN COLANI EDITION" is also supplied with ful metal hot gilding, original German Navy, buttons.